This Blog is still in the start-up phase but it's about time I add a bit of colour to it. 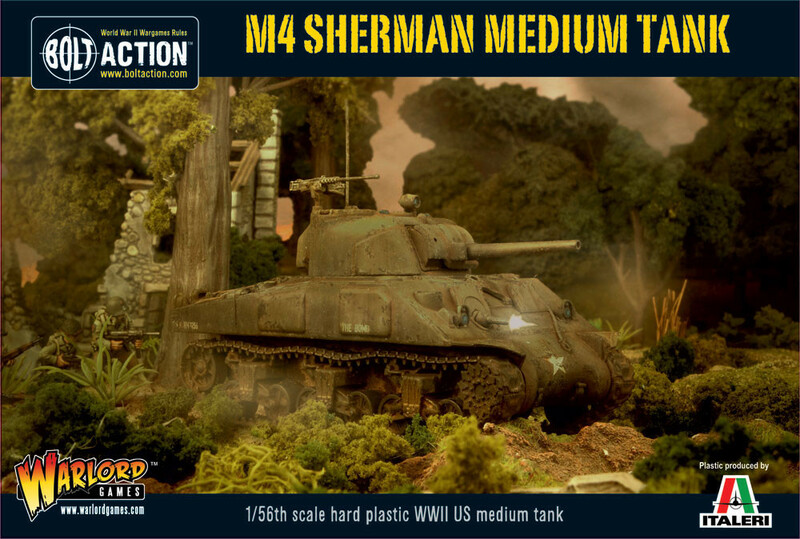 I'm currently painting up Warlord games' 1/56 plastic Sherman produced by Italeri . You can check the link to get all the details and information. 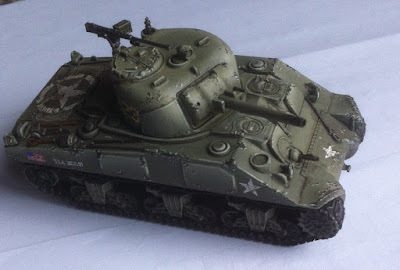 The model fits together seamlessly and has nice details. I used an airbrush to paint on the basic layers of vallejo Brown Violet 70.887 (93) and highlighted it using the modulation technique. I then added the decals and painted on the damage effects using the stipling technique. Next I will add a streaking effect using oils and then paint the details before I pull out the pigments and varnish. 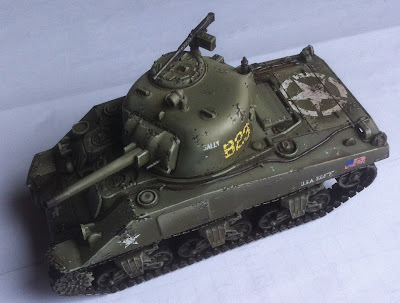 So far I'm pretty pleased how things are going so I want to get this Sherman finished soon. I'll post some more pics when it's done.